Im 6-7dpo and have been having cramps for the last couple of days. Had nausea yesterday and as a result off my food, had a tiny amount of pink when I wiped yesterday too... Nothing yet this morning, I know it was too early, but I did a HPT this morning with FMU which was a BFN as expected... 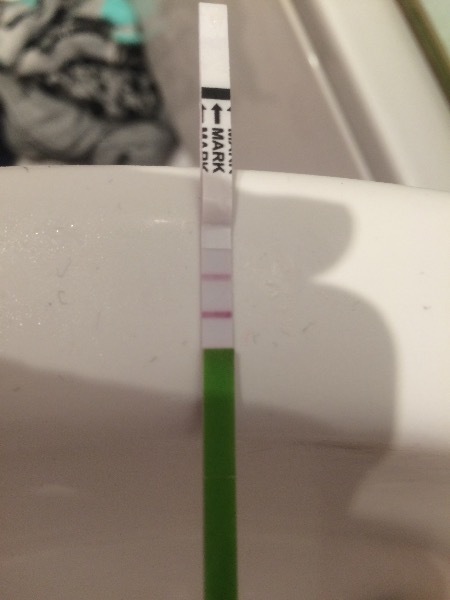 However, I've just done an OPK and got quite a dark line! Not as dark as the control though. What does this mean?? Why would I be close to another LH surge if I already ovulated?? I took an IC today (before the OPK) which was a BFN but I expected it really as its still early days. You must be preggies. wish you loads of baby dust!